Earlier this week, I had the pleasure of working with Craig and the very enthusiastic team at The ‘People’s Supermarket’ (TPS) as a volunteer – helping any way I could in their daily going’s on. 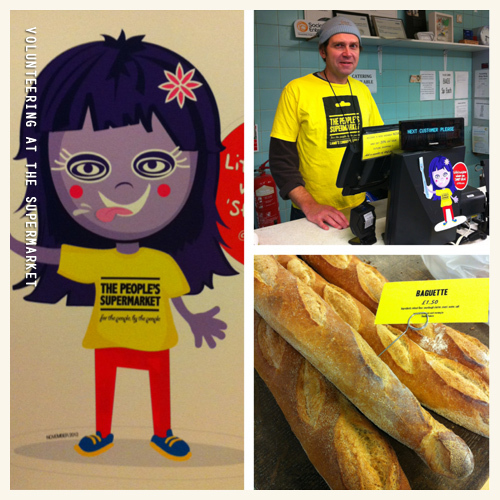 The People’s Supermarket on Lamb’s Conduit Street in Bloomsbury, London, is a food co-operative venture that’s been opened for over two years. I stayed for the whole afternoon until 6.30pm. For me personally it was an enlightening experience. I can honestly say that from the moment I entered the store I found myself ‘connected’ by their surrounding and modest atmosphere. On approaching the Supermarket from the outside, you couldn’t miss the place on Lamb’s Conduit Street – featuring an idiosyncratic shop-front in their unmissable bright yellow and black corporate colours. The volunteers there were all very open and friendly too. Inside the Supermarket was a medium-sized working kitchen producing food on the premises which includes meat and vegetarian meals, such as pasta bakes and Shepherd’s pie, quiche salads, fresh sandwiches, own-made puddings, plus more. However, I was quite surprised to see there wasn’t as much local produce from local suppliers on their Supermarket shelves (which I thought there would be more of), there was a lot of the usual stuff you’d generally be able to find in the ‘average’ supermarket, I suppose this is the stuff that gets customers into the Supermarket – creating footfall and brand awareness; but don’t get me wrong, there were plenty of fresh fruit and vegetables and baked loaves along with sweet pastries and cakes from the local bakery. Being a supporter of Sheffield’s hard working independent businesses and producers community, and in my spare time, when I am not designing I’m always keen to collaborate with locals doing meaningful project with them. I wanted to see from a different perspective how others could/do make a difference to a business’ activity by volunteering and assisting without asking for (expecting) a monetary reward in return. 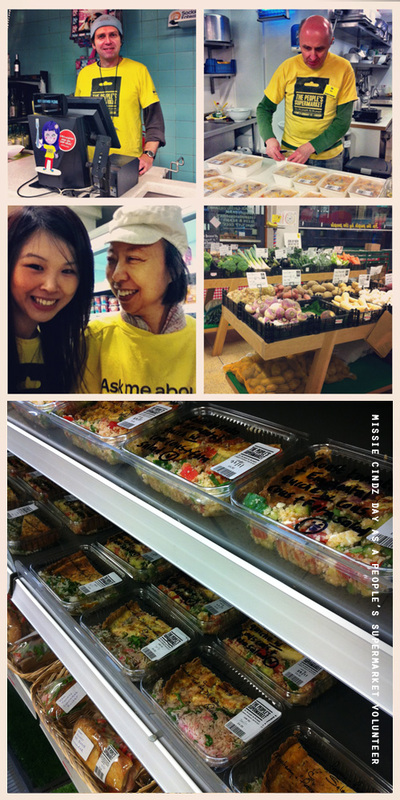 I wanted to offer my skills in the Supermarket and meet their volunteers. Prior my visit I had heard good things about the Supermarket. I follow their tweets so was aware of what they stood for and what they offered to customers (plus their sandwiches from ‘the sandwich man’ always looks awesome too). I was interested in the set up of the venture – a co-operative; and wanted to know more about what a Co-op business was and what it involved. I was curious to find out how a group of local people acting together would cope with the day-to-day running of the supermarket; to meet the common needs and aspirations of its members at the same time sharing ownership and making decisions democratically – does it work? One things for sure I could see was that everybody was working together, they were cheerful and focused on making a success of the ‘People’s Supermarket’. There was a kind of ‘Make Do and Mend’ culture/ethos. It was actually very inspiring! The concept of the ‘People’s Supermarket’ was simple; for an annual fee of £25.00 and a commitment to volunteer four hours per month in the supermarket (carrying out a range of on and off-floor activities), members will earn a discount on their shopping and a share and role in the management of the enterprise. 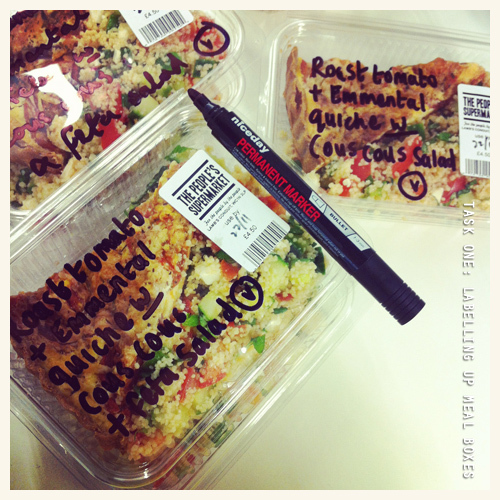 My stay at the Supermarket was only short but I fulfilled my full four hours required as a volunteer for the month – to be honest, I would had stayed to do more hours too but my train back home was calling! 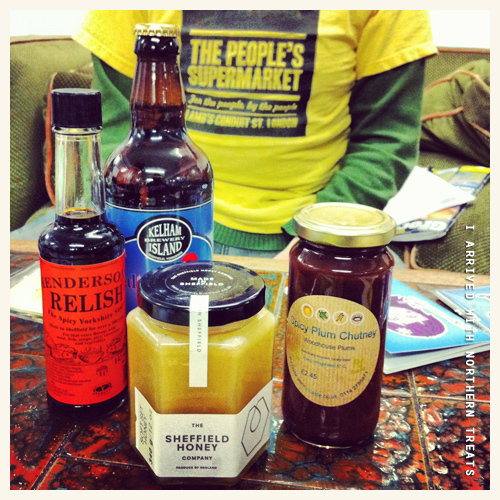 As I left the community Supermarket, I dropped off a collection of my favourite Sheffield food gifts for Dec and his volunteering friends (see photo above); I hope they enjoyed their Northern treats – I wonder who nabbed the Kelham Island beer? Volunteering is very rewarding. It made me feel good and that my services/skills really meant something. You should try it and make someone smile. I wish Craig, Jo, Dec, Jackie, Paul, Graham, Michael, Jacob and every member of this project much success for the future. Good luck to you all – and if I can ever help again, just ask! Would you be willing to spend four hours stacking shelves, doing spots on the tills and labelling up food boxes in a supermarket? Regularly? and for nothing? Well, it certainly makes a change from hanging out in Endcliffe Park Cafe, I suppose.